Is it possible to reinstall iOS 11 on your iPhone or iPad if you regret installing the iOS 12 beta? Yes! Here’s how to downgrade it’s important to keep in mind that to restore your iPhone or iPad with all your data, you’ll need a backup from iOS 11, you won’t be able to restore an iOS 12 backup once you downgrade. 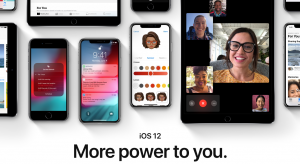 iOS 12 was announced at WWDC on 4 June 2018, and the developer beta is available to install now with the public beta launching later this month. But what if you regret installing iOS 12 beta and want to go back to iOS 11? Step 1: Make sure you’re running the latest version of iTunes 12.7.5 (iTunes → About iTunes, if not open the Mac App Store → Updates). Step 2: Connect your iPhone or iPad to your Mac or PC with a Lightning cable. Step 3: Use the appropriate key combination to enter Recovery Mode (you’ll see the iTunes logo and Lightning cable when successful, shown below). Step 4: When the Restore or Update option shows up on your Mac, choose Restore (this will wipe your device and install the latest non-beta version of iOS, make you have a backup or are okay deleting your data). Step 5: After the software restore has completed, you can restore a backup from iOS 11 with iTunes or iCloud or set up your iPhone or iPad as a new device. When You are in Recovery Mode You can’t do anything with your iPhone or iPad but when you are doing this process you need to have iPSW File by your side Like if you are downgrading from IOS 12 to IOS 11 then you have to have an IPSW Like IOS 11.3 , 11.4 Any Upgradable version supported by Apple.